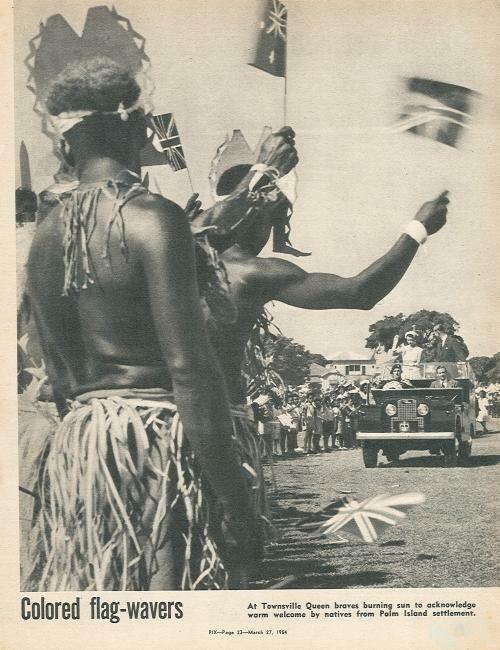 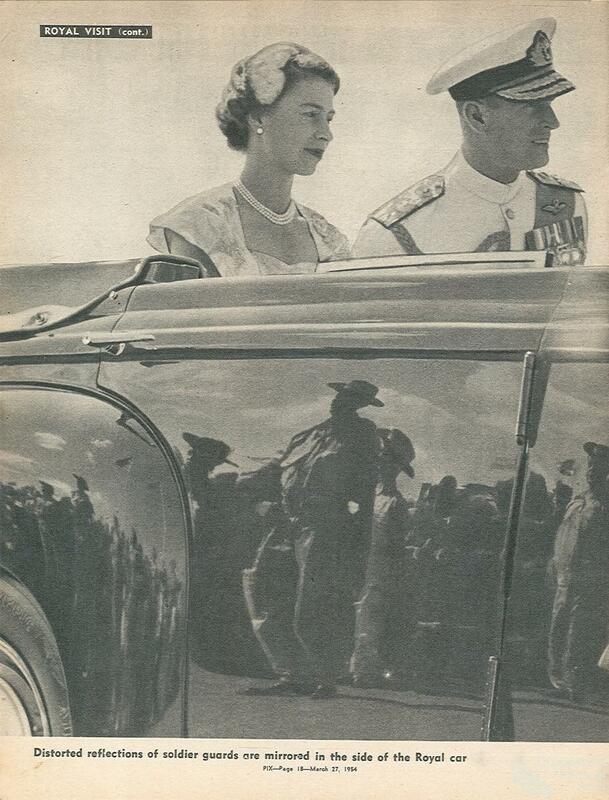 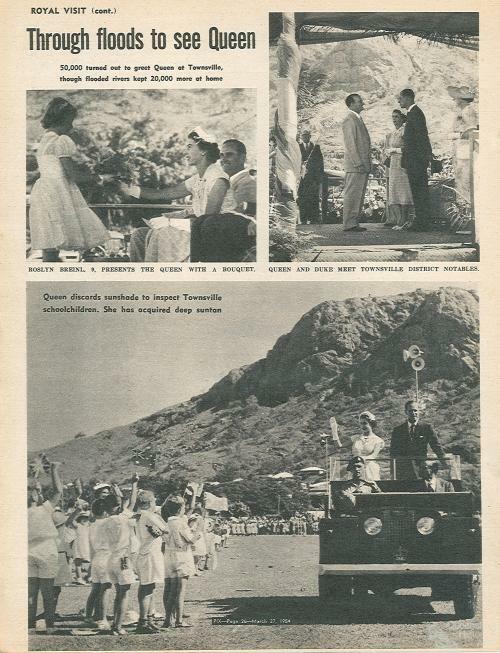 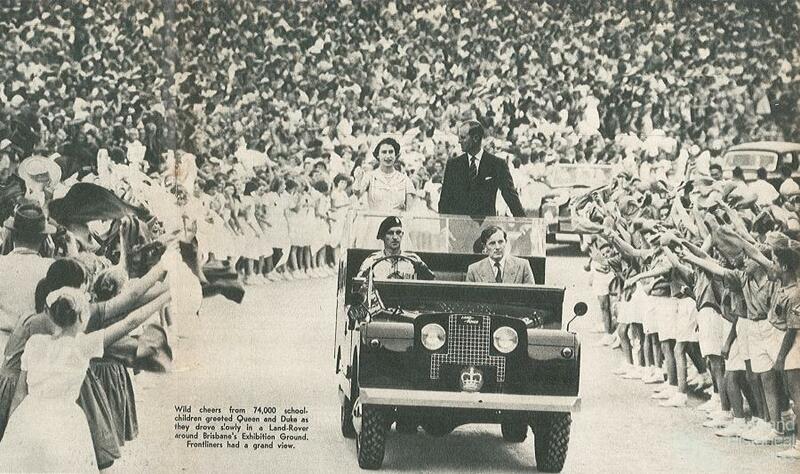 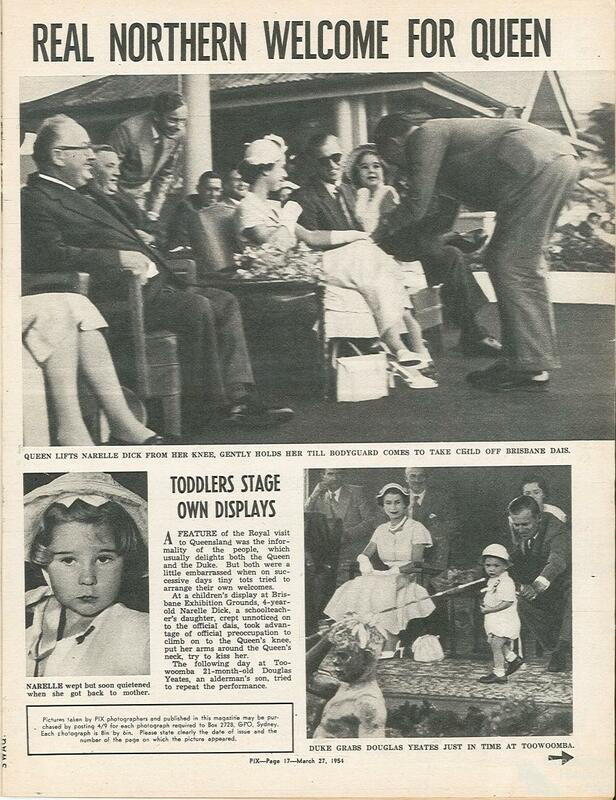 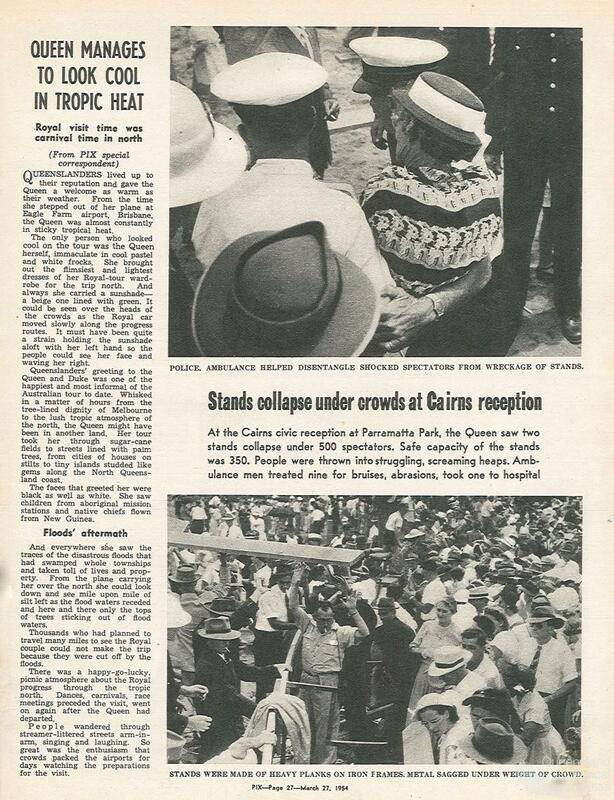 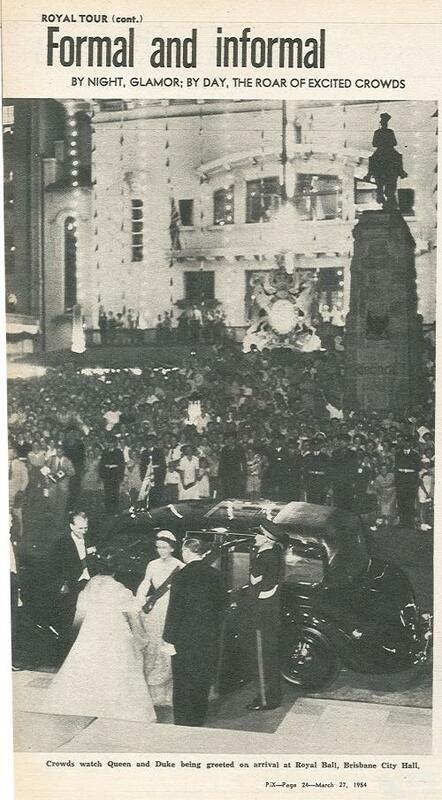 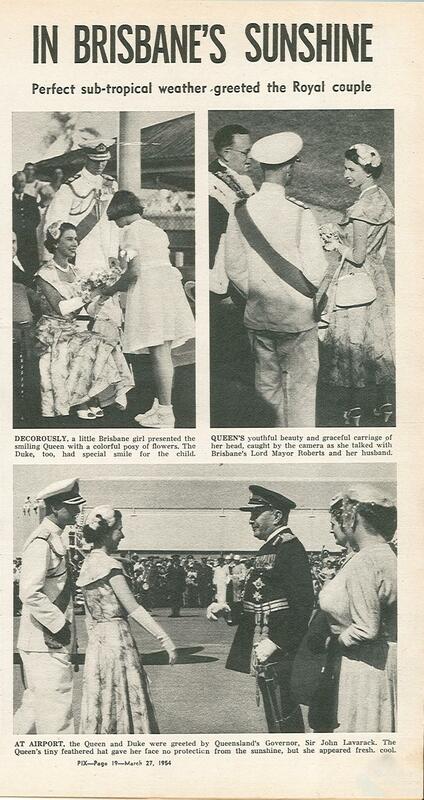 The Queen in Queensland was the feature subject in Pix magazine on 27 March 1954. 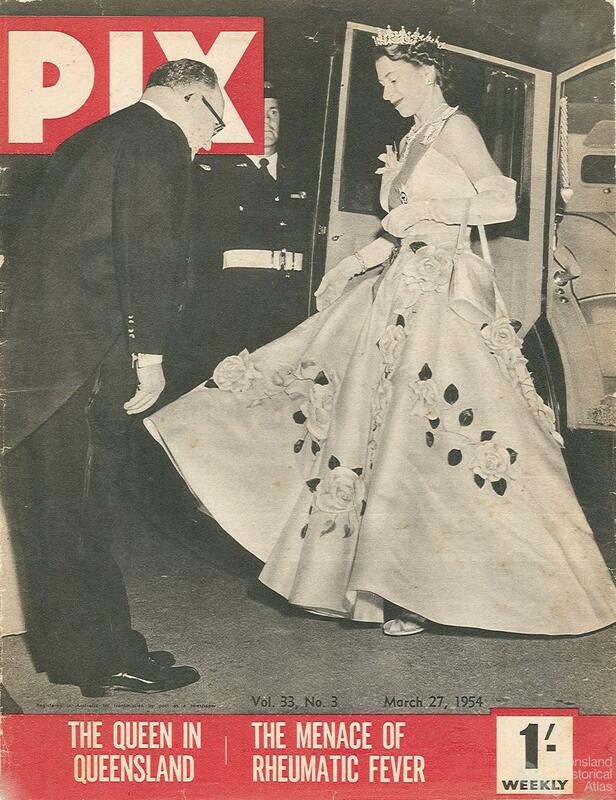 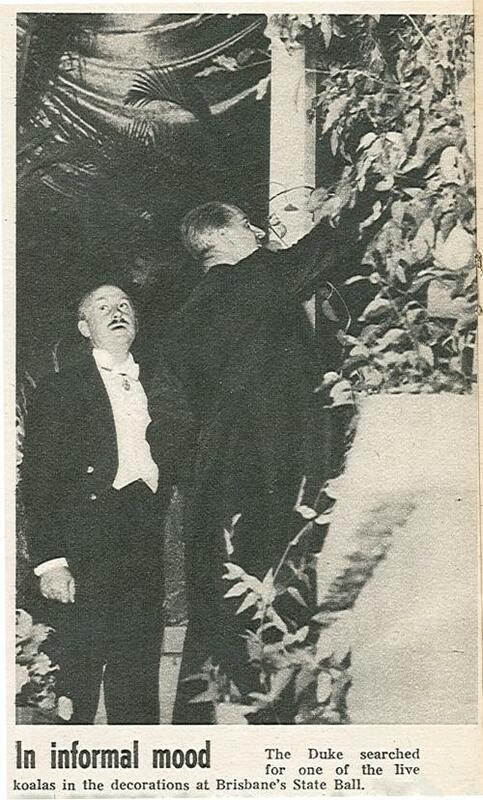 The cover showed the Queen arriving at the State Recepiton at Parliament House, Brisbane, greeted by the State Premier Vince Gair. Other pages featured photographs of Queen Elizabeth II and the Duke of Edinburgh in Brisbane, Toowoomba, Townsville, and Cairns. Much was made of the weather and the mix of formality and informality surrounding the tour. 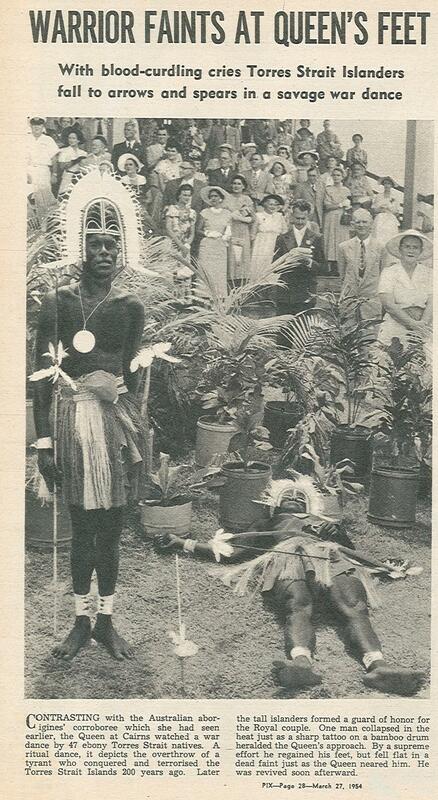 Collection of the Centre for the Government of Queensland.